Washburn build by Matsumoku and/or Yamaki? Re: Washburn build by Matsumoku and/or Yamaki? I still have not heard that Terada actually made any acoustics for Washburn I know they were very heavy into the electric and we also know that there were smaller runs of guitars made of basic models but I think that was after Rudy took over when we see a shift into different guitars. I have tried to reach out to the Beckmen Winery to see if he would provide any more info from when they owned it but never got a response back from him. All we can provide is the best info gathered from each and all of us and then one day who knows maybe someone will sit down and write the damn book on Washburn and clean up a ton of misinformation. Hehe funny you should say that. That book is on the way - written by the 2 friends and myself. Right now we have about 80% of the Yamaki/Daion/Washburn history confirmed and as soon as the last part is confirmed, we will go public with the whole thing. Please define what YOU mean by "heel of the neck." For us lutheirs, that would be "just north of the neck pocket." You are right. I could have explained better what I was talking about. A picture says 1000 words. Sorry but I am still uncertain about the claim that Terada ever made acoustics for Washburn I have checked with several folks who know Washburns and they have never seen one either that was built by Terada. I do recall someone mentioning that they did build some proto type guitars for them but they never went into production so I myself would NEVER include them with just the serial numbering in any written books without proper proof, i look at it as liking buying a vintage guitar you want documentation or you would want someone like Jim Smith Sr. to weigh in and say that he has guitars built by Terada as right now he is the most knowledgeable person in all of the world on Washburn guitars and where and when. Sorry but I am still uncertain about the claim that Terada ever made acoustics for Washburn I have checked with several folks who know Washburns and they have never seen one either that was built by Terada. I do recall someone mentioning that they did build some proto type guitars for them but they never went into production so I myself would NEVER include them with just the serial numbering in any written books without proper proof, i look at it as liking buying a vintage guitar you want documentation or you would want someone like Jim Smith Sr. to weigh in and say that he has guitars built by Terada as right now he is the most knowledgeable person in all of the world on Washburn guitars and where and when. I do not consider myself an expert by any means but I have bought many Washburns and have searched catalogues and the net for any connection to Terada and found nothing but speculation that he might have. Thats just it. I am also not specifically looking into Terada as a builder for Washburn. I am looking into Yamaki/Washburn/Daion instruments. Thats where my focus is . That being said, there are some things that I know because of this research we have done. Tereda is one of the factories. 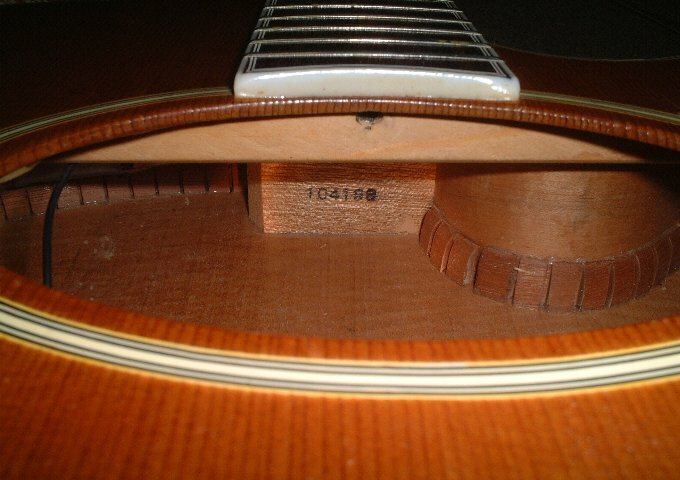 However, if you want a tip to figure this out, you should study Terada branded instruments and their serial numbers. Find out what style of serial number they were using. After you have done that, you compare that style to Washburns. Since you KNOW that by JP law they were not allowed to have 2 different styles at the same time, you now have proof about Washburns. After that you confirm that proof can by comparing this with catalogs + people that worked there and so on. Thats the process we have been going through with Daion and Washburns. We dont use serial numbers as the only proof. We use serial numbers + our Daion contact as well other contacts in Japan to get this confirmed all the way. We have multiple confirmations saying the same thing. Thats also why we are so sure that this is correct. Very similar in birdseye maple. 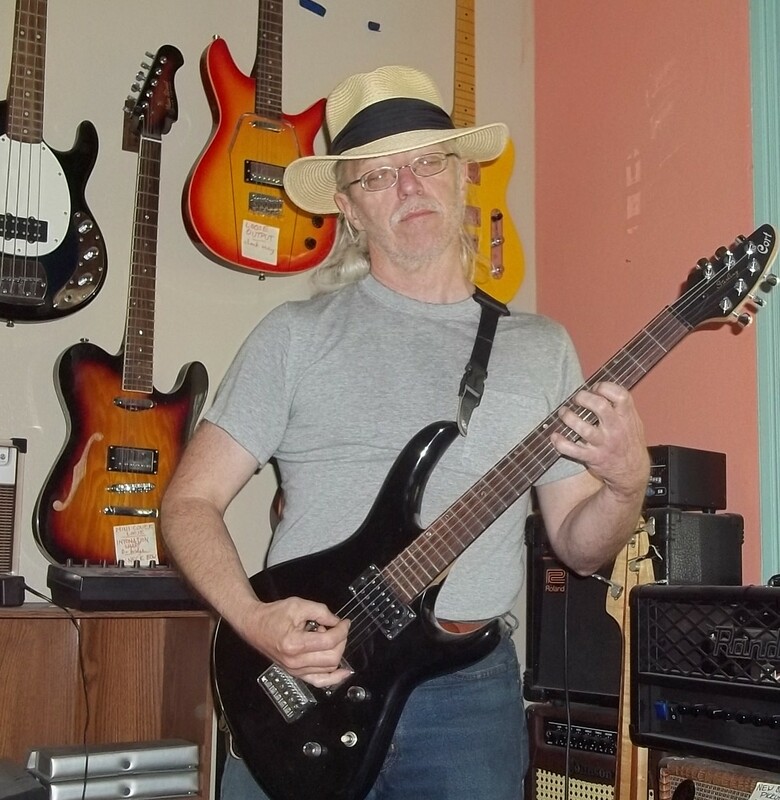 That is not my HB-60.... however its very similar to the Barrington... both have 5 piece necks btw. I just listed one of my Yamaki Made HB-35s on Ebay. This is a 1982 and is very close to being "mint" condition. The reserve is hidden but is $949 plus shipping. I love this guitar but am selling this and some others to help pay for my girls engagement ring. She is expensive.